In the act of reading, we are to undergo a kind of transformation, such as W. Booth has described in connection with fiction in general: "The author creates, in short, an image of himself and another image of his reader; he makes his reader, as he makes his second self, and the most successful reading is one in which the created selves, author and reader, can find complete agreement." Why writing "worse" is writing better. Julio Cortázar boasted in his later years that he was writing "worse all the time." He meant that in order to express what he longed to express in his stories and novels he was increasingly obliged to search out forms of expression further and further from classic forms, to defy the flow of language and try to impose upon it rhythms, patterns, vocabularies, and distortions in such a way that his prose might more convincingly represent the characters or occurrences he invented. And we are all the better for it. The wisdom of my characters. I wish I had the wisdom of my characters. I wish I could source words out of thin air, I wish I could chew on grass and distil wisdom, I wish I could compose a fragrance and die by it, I wish I could speak like a bird, I wish my body could vibrate and sing eternal songs, I wish I could get naked and offer my robe to the hateful, I wish I could walk the nights and talk to the cats, I wish I could paint the face of everyman. But no, that is not happening. On a mountain path the Fat Poet posts a dictum. His mules chew on the surrounding pasture and agree with him wholeheartedly. De-fine, De-note, De-mark... just say it. Why do we need the novel? Shouldn't we all write that way, from the white center inside? The writer, the reader, and the book. 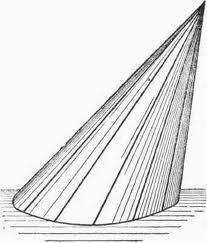 Creativity on the part of the author involves structural innovation, the ability to generate an, in principle, infinite number of different structures. But the reader's creativity is expressed by functional innovation: the ability to imagine what a text could mean. A writer only begins a book. A reader finishes it. The relationship between an artist and reality is always an oblique one, and indeed there is no good art which is not consciously oblique. If you respect the reality of the world, you know that you can only approach that reality by indirect means. My path is an oblique one. I would like to know what the ultimate purpose of writing fiction is. What are the best approaches to producing innovative prose? What is the real value of reality in fiction? Should the novel be clear and open to all? Who are the readers? And in a more existential vein; does it matter to the universe whether I write a novel or take a piss in the river? ARMENTEROS: A plot is a plot is a plot, or is it not? FIELD: There is plot, but I’m always more interested in situations. Situations change and that’s a kind of plot. Language is a plot, too, and so are mix-ups and nonsense. Really, any situation can be a plot because as it changes, time moves forward. Most books today land on the reader’s lap, defanged, tamed by the weight of tradition, ready for easy consumption. I prefer when the book does not offer itself to the reader like a shelled pistachio. But when the reader has to do the work of shelling through words, rhythms in prose, and the unconscious in order to savor the book. And it is the alliance between the reader’s effort and the author’s meditations that conjures the best literature. Cortázar called Hopscotch “a book of questions which continually asks why something is this way and not another way, why people accept that something is given in this form when it could be given in another.” When he wrote Hopscotch, he wanted a revolution to escape from the “prison of language,” the syntaxes that obliges us to say certain things. The philosophy of that book, if there is one, is that one should constantly undermine what seems certain. “Once one denies something, it is possible to continue a chain of negations.” So the imperative of our time is to lay the rules of the game outside the canons of literature. Happy birthday Julio! 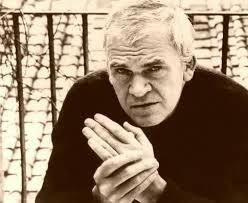 According to Milan Kundera, "If the novel should really disappear, it will do so not because it has exhausted its powers but because it exists in a world grown alien to it. The novel's spirit is the spirit of complexity. Every novel says to the reader: 'Things are not as simple as you think.' That is the novel's eternal truth, but it grows steadily harder to hear amid the din of easy, quick answers that come faster than the question and block it off." It’s possible that the fact that literature has been commercialized now in a way it never was before has had an influence. That is, the fact that people now talk about “bestsellers,” that fashion has an influence (something that didn’t use to happen). I remember that when I began to write, we never thought about the success or failure of a book. What’s called “success” now didn’t exist at that time. And what’s called “failure” was taken for granted. One wrote for oneself and, maybe, as Stevenson used to say, for a small group of friends. On the other hand, one now thinks of sales. I know there are writers who publicly announce they’ve had their fifth, sixth, or seventh edition released and that they’ve earned such and such an amount of money. All that would have appeared totally ridiculous when I was a young man; it would have appeared incredible. People would have thought that a writer who talks about what he earns on his books is implying: “I know what I write is bad but I do it for financial reasons or because I have to support my family.” So I view that attitude almost as a form of modesty. Or of plain foolishness.